This entry was posted in Atlanta Falcons, Falcons, Green Bay Packers, NFC, NFL, Rise Up and tagged Aaron Rodgers, Atlanta, Atlanta Falcons, Bryan Bulaga, cheese, Cory Woodroof, Dan Quinn, Davante Adams, Desmond Trufant, Devonta Freeman, Dontari Poe, Falcons game preview, Falcons Packers game preview, Football, Grady Jarrett, Green Bay, Green Bay Packers, Jack Crawford, Jordy Nelson, Julio Jones, Matt Ryan, Mike Daniels, NFL, Pack, Randall Cobb, Rise Up, Rise Up Reader, Robert Alford, Steve Sarkisian, Sunday Night Football, Trevor Davis, Ty Montgomery, Wes Schweitzer on September 12, 2017 by corywoodroof47. This entry was posted in Atlanta Falcons and tagged Atlanta Falcons, Austin Hooper, Bears, Benny Cunningham, Brian Hill, Chicago Bears, Cody Whitehair, Cory Woodroof, Da Bears, Damontae Kazee, Dan Quinn, Danny Trevathan, deep dish pizza, Falcons, Falcons/Bears, Jake Matthews, Jay Cutler, Jerrell Freeman, John Fox, Jordan Howard, Josh Sitton, Julio Jones, Kyle Long, Markus Wheaton, Matt Ryan, Mike Glennon, Mitch Trubisky, Pernell McPhee, Prince Amukamara, Rise Up Reader, Robert Alford, Steve Sarkisian, Tarik Cohen, Wes Schweitzer on September 5, 2017 by corywoodroof47. 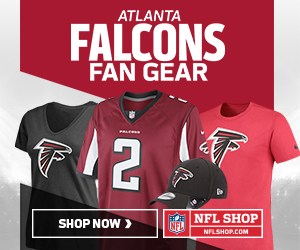 Why, good day, fair Falcons fandom! This entry was posted in 2017 Falcons Training Camp, The Dirty Bird Ten and tagged Atlanta Falcons, Ben Garland, Brandon Wilds, Cory Woodroof, Damontae Kazee, Falcons, Jalen Collins, Matt Ryan, Ndamukong Suh, Robert Alford, The Righteous Brothers, Turbo, Wes Schweitzer, What Ever Happened to Robot Jones? on August 2, 2017 by corywoodroof47.